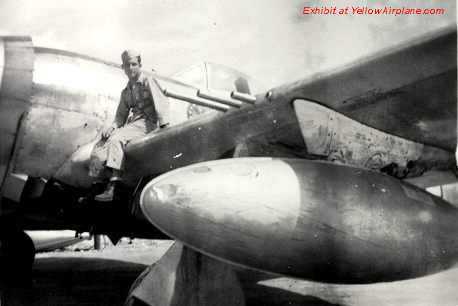 YellowAirplane.com: Picture of Vincent Dauro Sitting on his Warbird, P-47 Thunderbolt Fighter Aircraft World War 2 Pacific. Picture of Vincent Dauro Sitting on his Warbird, P-47 Thunderbolt World War 2 Pacific. Vincent Dauro sitting on the wing of a P-47 thunderbolt Warbird. Notice the bank of machine guns. U.S. Production Fighters of WWII Dean.